Niklas Waitong is Senior Supervisor at Vision HVB. 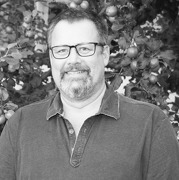 Niklas graduated as a social worker in 1996, and has been working in treatment with children and teenagers with substance abuse and multiple diagnoses for 30 years, 17 of which were spent as director of Älgeredskollektivet, a small residential care home in northern Sweden. Today Niklas works with training the employees at Vision HVB in, amongst other things, solution-focused pedagogy and FIT.